Production AV are highly experienced in providing AV solutions and services for award shows and look to work closely with the client to make the event run completely smoothly and to engage and impress the audience with the level of production. 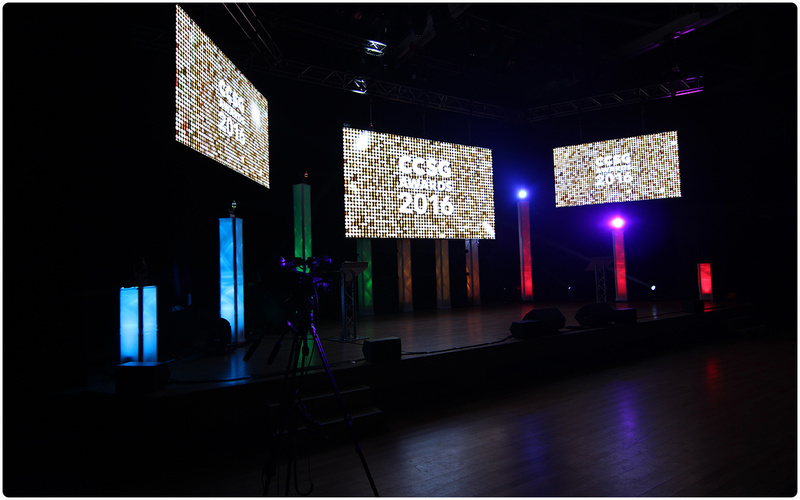 Our high definition, stunning indoor LED screen range is the perfect centrepiece for an unforgettable awards night. These screens will add a little extra excitement and magic to an already special night. The versatile screens can be built from the ground up, flown above the ground using a truss structure or put into a custom set. Using our selection of top of the range cameras, we can add that extra level of emotion with close up shots of award announcers and receivers and we have the capability to stream it to the LED screens as well as to the internet. Recording the night to capture the special memory permanently is also common practice. If you are interested in reading an in depth and technical explanation of one of our award night AV solutions, follow the link below.